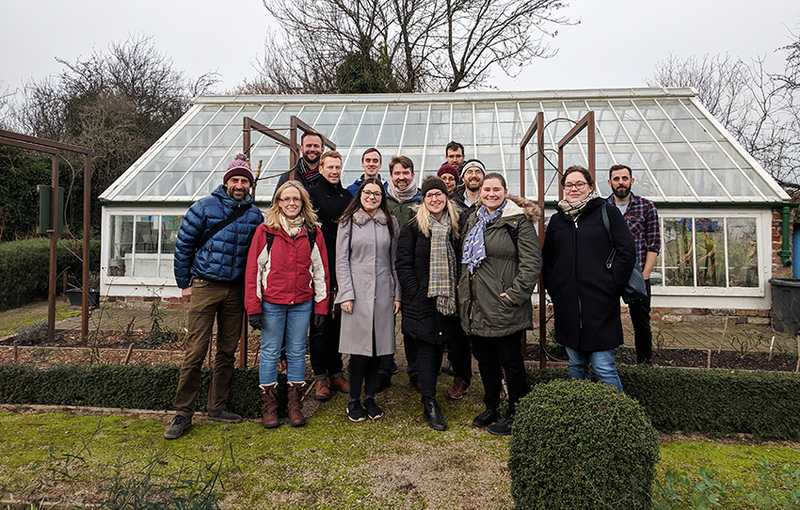 St Ann’s Allotments played host to a group of very special visitors recently when staff from Natural England and their team of legal representatives from Browne Jacobson LLP chose to hold an ‘away day’ at the Allotment Centre. The day also included a guided tour of the allotments, led by The Renewal Trust’s Nicola Hinton, which introduced Natural England and Browne Jacobson LLP to the history of the site, how it has developed over the years and key features such as the Heritage Plot and restored Victorian glasshouse. St Ann’s Allotments is the oldest and largest collection of Victorian detached town gardens in Britain and the gardens have considerable heritage and biodiversity value, as our visitors discovered during their relaxed lunchtime walkabout with Nicola. They were particularly impressed with the scale of the Grade II* listed site and the latest bird count of 38 different bird species, underlining the allotments’ status as a Site of Importance for Nature Conservation. Why not inspire your staff this year and arrange to hold your next away day at St Ann’s Allotment Centre – complete with a guided lunchtime walk full of natural highlights, impressive wildlife and heritage treasures including listed heritage buildings. Email Nicola to find out more.